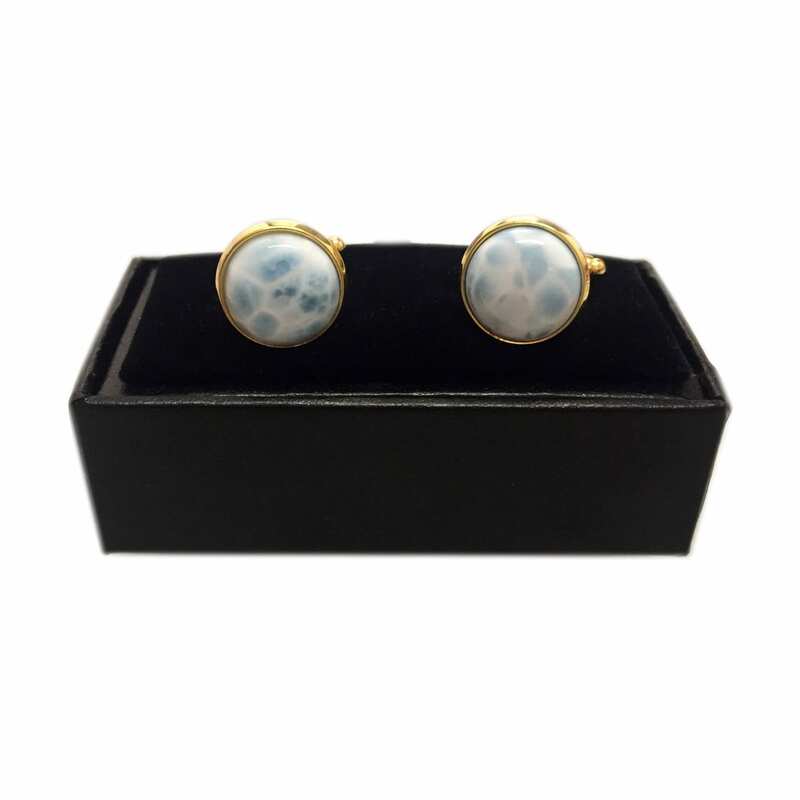 These Atlantis Stone larimar cufflinks resemble the warm, sunlit waters of the Caribbean. 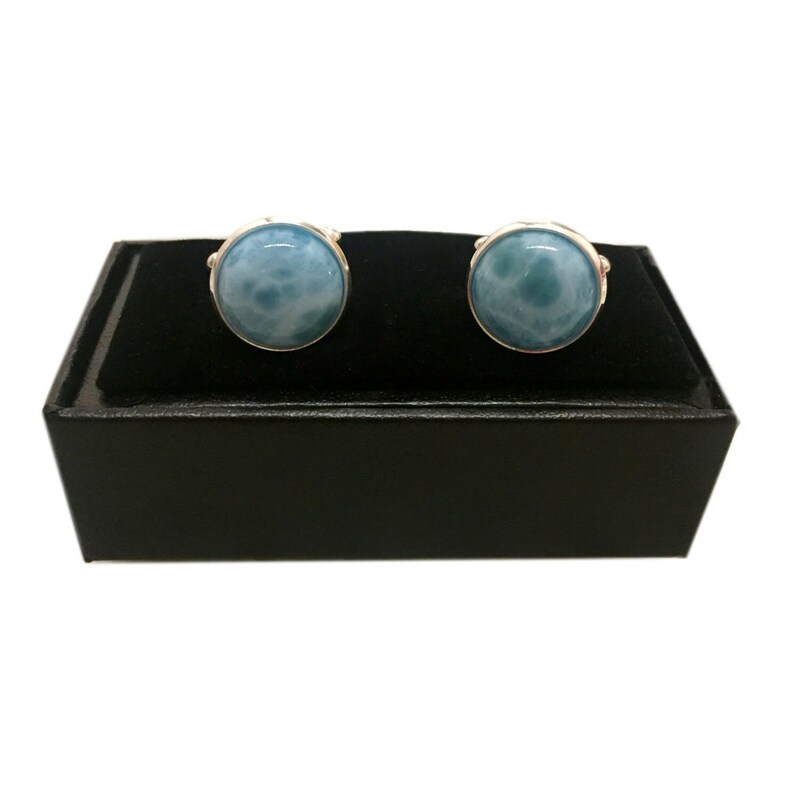 In fact, Larimar is a rare stone only found in one region of the Dominican Republic. What makes Larimar even more special is that it is considered the Atlantis Stone by those who believe that some islands in the Caribbean, particularly the Dominican Republic, were part of the sunken continent Atlantis!